Mayang Paper Factory is located in Malutang, Mayang Village, Heping Town, Zhenyuan County. The factory is located north and faces south. It is the roof of the hard summit of hill through type timber frame, which was built in the Ming Dynasty. It was burned in the fire and rebuilt in the Qing Dynasty. The house is 7 meters long and wide is 5 meters, the production room is 20 meters long and 7.5 meters wide. The staff room is 17 meters long and 3 meters wide. The bamboo pool is 9.5 meters long, 5.5 meters wide and 1 meter deep. The fermentation tank is 5.5 meters long, 3 meters wide and 1.4 meters deep. The cooking pool is 3.5 meters in diameter and 2 meters deep. The production plant and process are based on the original old production model, with a total of 72 processes, which have been passed down to this day. According to Luo Zhixing, the third generation of the Mayang Paper Factory, when he took over the paper mill from his parents, the factory has a history of more than 300 years. The Mayang paper mill is still running. 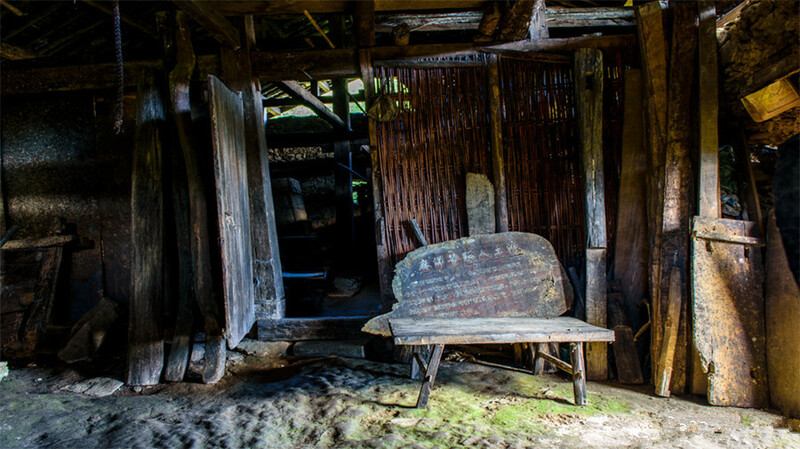 Located in the special position of the mountainside, it is still the tenacity of the tough people of Ku Cong. The paper mills that have experienced a hundred years of vicissitudes are still well preserved and continue to support the people of Luo’s family. 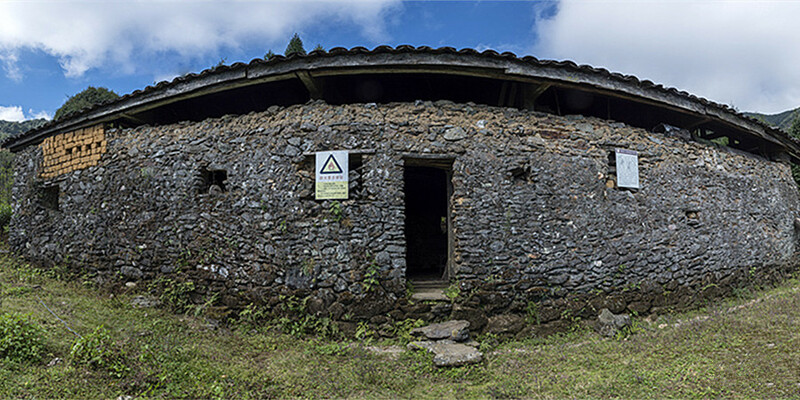 The paper mill, which burned for 250 years and has a diameter of more than three meters, has the Chinese characteristics of the earthen stove, which can be said to be the largest stove in the world. This large stove is built according to the mountain. In order to prevent the landslide from being built with stones, the limestone on the stove covers the whole cauldron over the years. If the pot is not cooked, the bamboo for papermaking will be cooked. Of course, you can put a few eggs or rice cakes to cook. The entire Mayang paper mill completely embodies the two words—original! Because of its originality, the paper mill is so green and environmental friendly. Environmental protection of materials, environmental protection of additives, and even environmental protection of buildings and appliances. Mayang paper is very unique and needs to be done with tender bamboo. Now the craft has been improved, and many bamboos with thick bowls can also be used as raw materials. Papermaking naturally requires the addition of some chemicals, but some of the original papermaking methods are just all the naturally occurring acids and alkalis in nature. The alkali is made from the water soaked in the ash and bitter bar, and the dyed pigment is a plant called turmeric. 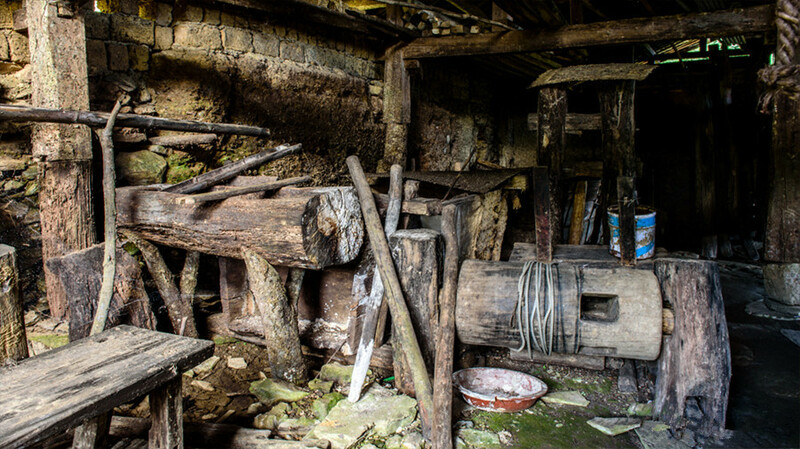 The equipment of the whole paper mill is almost made of wood. The channel for circulating and transporting pulp is to take the bamboo in two parts and make the groove. Put the pulp into the paper-making cylinder, stir it with a proper amount of water, until the pulp floats evenly in the water, and then take the curtain to pick up the fine pulp from the paper cylinder. Generally, one round and one round is used for one round, and each copy is a piece of paper. The whole papermaking process, worth mentioning is the two processes of papermaking and dehydration. 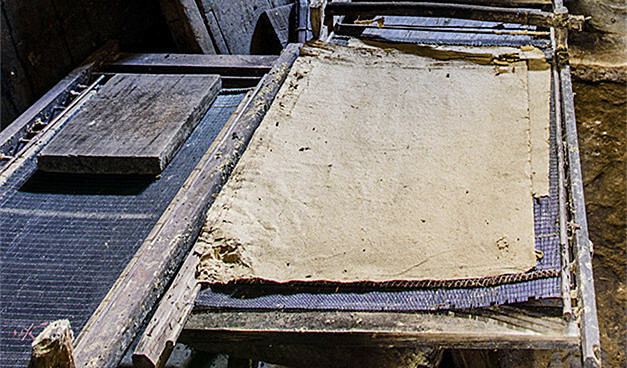 Papermaking is a technical activity, which requires certain skills and experience. The paper size is not well mastered, and the paper thickness is inconsistent. Each time the picked up pulp is neatly stacked together, and then squeezed by the original dehydration method, the original thick stack of paper is dehydrated and thinned, and then the paper is sent to the baking room. When using the paper, the force should be just right. Every time you remove the knife, you should carefully check whether it is damaged, and make sure that it is attached to the baking surface for baking. When the paper is baked, a dozen dozen hits of bamboo paper are released. The traditional production process of Mayang Paper has important historical value for studying the history of local traditional handicraft industry. In September 2005, it was included in the list of intangible cultural heritage of Pu’er City. On September 16, 2013, Mayang Paper Factory was announced as a county-level cultural relics protection unit by Zhenlai County. In 2016, it was listed as a provincial intangible cultural heritage project. Mayang paper is mainly used in activities such as funeral, worshipping Buddha, and offering sacrifices. 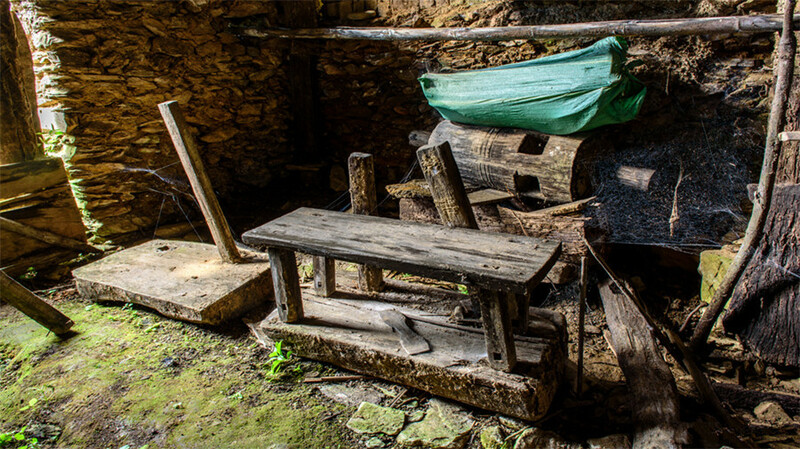 At that time, due to economic traffic restrictions, the Kucong people of the Lahu ethnic minority built the paper based on the natural advantages of the local wild birch. The winter and spring season are the preparation period of the Mayang paper mill. All members must go up the mountain and cut the bamboo. The bamboo that has been harvested should be soaked in water for about 2 months. Generally, lime is added to the water to accelerate the degree of decay of the bamboo, and the water in the pool is discolored, indicating that it has been soaked in place to salvage. The next step is to wash the fermentation twice, one large alkali fermentation, and the second time with rice slurry fermentation. By fermentation, the originally crisp and hard bamboo silk becomes flexible and easy to beat. 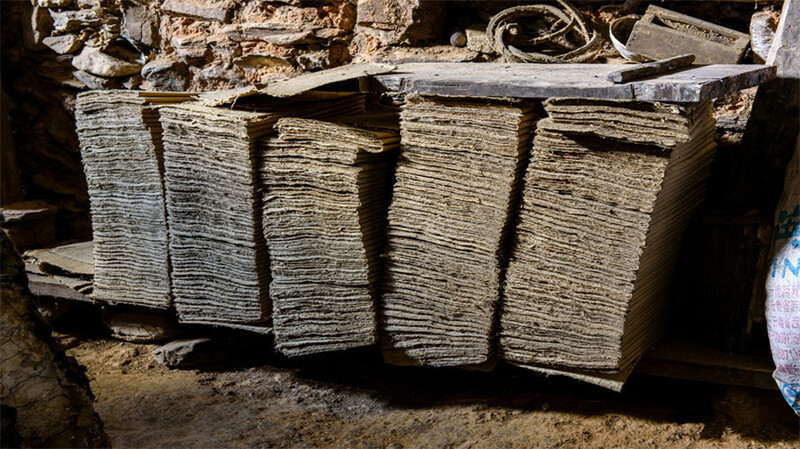 With the development of the industrial economy, the once-paper treasures are no longer needed by people’s daily lives, and the manual paper industry has been declining year by year. And like Luo Zhixing, who wants to pass on papermaking skills to the younger generation is even more unique. Although this craft was gradually eliminated, the Luo family also understood that making bamboo paper could not make any money, but it represented the efforts of the ancestors and the embodiment of the spirit of the Pu’er craftsman. This is the reason why they always insist on inheritance. There are no airports in Zhenyuan County. Visitors can take a plane to Simao District, Puer, then take a long-distance bus to Zhenyuan County. Pu’er Railway Station is the middle station of the Yumo Railway under construction and an important station for the Laos section of the Trans-Asian Railway. It is expected to be put into use by 2020. There is the Passenger Station in Zhenyuan County for people to get in. Take the taxi or rent a car to go to the Mayang Paper Factory. It is suitable to visit Zhenyuan County all year round. Like many other cities in Yunnan, Zhenyuan is a place where the seasons are like spring. There is no cold, no heat, warm and humid, especially suitable for human habitation, so you can go to Zhenyuan at any time. When you traveling Pu’er, Zhenyuan County is a good place to be put on your list. It can be joined in whatever your Pu’er tour or Yunnan Tour. 1.There are many ethnic minorities living here, such as Lahu, Hani, Wa and Yi. Varied customs make it a colorful city. Eating habits, ceremonies, costumes and folk legends can all be a strong attraction for people who are visiting. In addition, the city is the hometown of the well known Puer Tea, and the local people have diversified ways of handling tea, such as bamboo tube tea, cold tea dish, earth-pot tea and baked tea; all of which you should try. 2.Enjoying a plateau monsoon climate at low latitude, the region is affected by the Indian Ocean and the Bay of Bengal. Therefore, the main features of its weather are mildness and humidity without strong winds. 3.Special Local Products: Puer Tea, bamboo shoot, edible fungi, purple rice, mango.